As expected, the Justice Department on Thursday unveiled its findings following a review of the New Orleans police department, and it was anything but pretty. The report by the Justice Department’s Civil Rights Division found a pattern of “unconstitutional conduct”, poor policies, non-existent training and inadequate leadership. 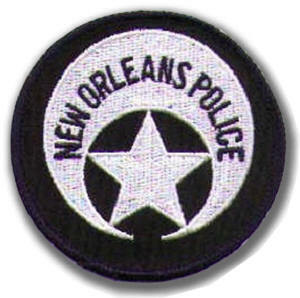 “Unfortunately, our conclusions reveal that many NOPD officers have failed to live up to what we rightfully expect from our law enforcement officers,” said deputy Attorney General James Cole at a press conference in New Orleans. “The overwhelming and undeniable facts discovered throughout this investigation show reasonable cause to believe that the New Orleans Police Department has engaged in a pattern or practice of unconstitutional conduct,” Cole said. We found that officers regularly used excessive force as retaliation, and that in the last 6 years – there has not been a single finding of an officer involved shooting that violated policy. Supervisors fail to hold officers accountable for excessive force, and there are frequently intentional acts to prevent prosecutions of officers. We found the use of uncontrollable canines, and a lack of training on alternatives to force. We found that officers regularly fail to articulate the facts to justify stops, searches and arrest, and that often, officers don’t know the law regarding proper stops, searches and arrests. We also found that the NOPD’s system encourages a focus on quantity of arrests rather than quality. We found virtually no data collection regarding racial profiling, and a lack of adequate policies and training regarding discriminatory policing. A random sample of 96 Resisting Arrest/Use of Force Reports from January 2009 to May 2010 showed that 84% (81) involved African-American subjects. In that same time period, there were 27 deadly force incidents, involving 27 African American subjects of deadly force. We found regular harassment of LGBT individuals, and the use of the “crimes against nature” statute almost solely against LGBT individuals. We found violations committed through omission, including a systemic failure to provide effective policing services to persons with limited English proficiency; and a systemic failure to investigate sexual assaults and domestic violence. We found that the Department is unable to meaningfully police in Spanish and Vietnamese speaking communities, and unable to communicate meaningfully with potential witnesses. We found delays and denials of service for these communities, and a practice of allowing subjects to interpret for victims of domestic violence. We found a systematic misclassification of potential sexual assaults and seriously deficient investigations of alleged sexual assaults and domestic violence cases. We also found that investigators and first responders lacked proper training to adequately respond to and investigate these cases. Posted: 3/17/11 at 4:18 PM under FBI, News Story.